This book has some excellent information in it. I particularly like the advice regarding baking under a cover to maintain humidity and get better ovenspring from a domestic oven. The recipes are useful too. 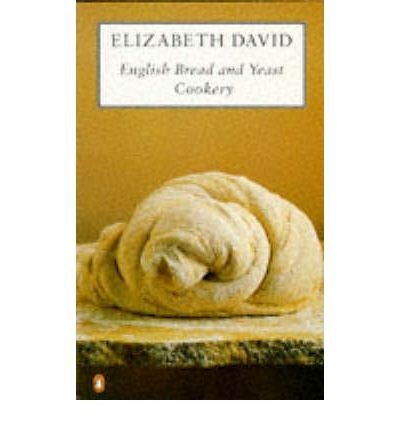 Elizabeth David liked her bread to be salty. I find it better to use my own experience to judge the quantities of salt, water and yeast to add, especially as yeast comes in so many forms. I made this using the metric quantities and I used a bread maker to knead and prepare the dough. I was surprised that for 520 g of flour and oatmeal there was only 280 g water. Indeed it made a very stiff dough. The total quantity of water I used in the end was probably closer to 340 ml. I love having Welsh cakes on hand as they freeze well and provide an interesting foil for curds and jams. I treat them as a breakfast bread rather than a tea bread. This is my go-to recipe for Welsh cakes since I turn to David for any traditional British breads. In this universally acclaimed book Elizabeth David deals with all aspects of flour-milling, yeast, bread ovens and the different types of bread and flour available. The recipes cover yeast cookery of all kinds, and the many lovely, old-fashioned spiced breads, buns, pancakes and muffins, among others, are all described with her typical elegance and unrivalled knowledge.